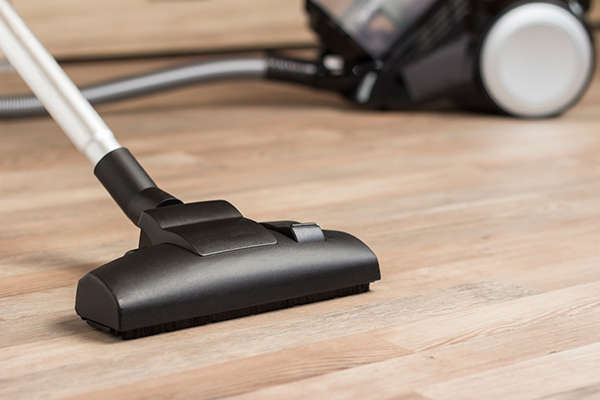 What’s the Best Vacuums for your Hardwood Floors? Whether you’re remodeling your Bay Area home or exploring more effective processes for up-keeping a commercial property by the water, you want insight into how to make your floor-cleaning and vacuuming as efficient as possible. After you’ve completed your hardwood floors installation, you will want to keep your floors in excellent shape possible to avoid expensive repair costs. One smart and simple solution is to vacuum frequently. A good vacuum can remove debris from even the deepest cracks and crevices of your floor, thus preventing a buildup of dirt and water and humidity-related damage over time. However, choosing the right vacuum for pre-finished hardwood floors can be challenging. In general, opt for a canister vacuum with an attached floor brush. Upright vacuums have a rotating brush that can scratch your hardwood floor if you leave it in the same spot for too long, or happen to forget to turn them off. They also tend to be heavier and more difficult to maneuver than canister vacuums. Regardless of whether you have standard or engineered hardwood floors, be sure that your vacuum includes a bare floor setting or manual height adjustment feature. Also, consider selecting a vacuum that offers an edge cleaner so that you can clean the area where the floor meets the wall. Of course, buying or renting a vacuum with these elements can be expensive and time consuming, and your time may be better spent managing the cleaning instead of actually executing it. Consider calling our Bay Area floor experts for help getting your refinishing, repair, or installation job done right. Elegant Floors provides free estimates and quick, effective service. Call us today at (650) 961-1339 or contact us for a free estimate.